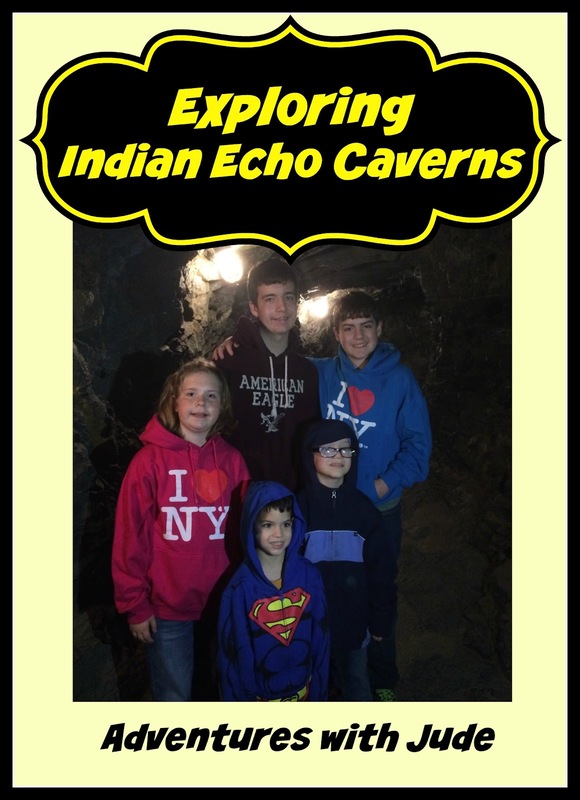 Indian Echo Caverns is located in Hummelstown, PA. 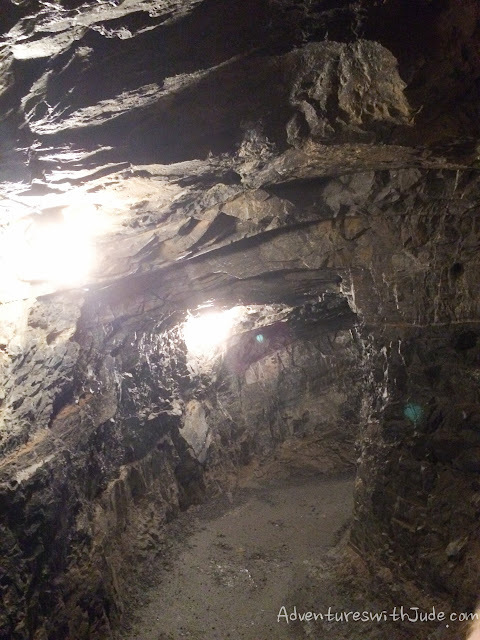 It received its name because the Susquehannock Native Americans lived nearby and likely used these caves. In the early 20th century, it became a tourist attraction when John Bieber capitalized on the caves under his farm. The Susquehannock were a nation of Native Americans who lived along the span of the Susquehanna River. The Swatara Creek, a tributary of the Susquehanna River, runs along the caverns. We know the Susquehannock lived opposite to the caverns on the banks of the Swatara because archeologists have excavated artifacts from them. Although evidence points to them being they mostly lived on the banks of the creek, they likely also used the caverns in extreme weather and when fighting with Iroquois tribes. Fun Fact: The Susquehanna River is the longest river in Pennsylvania, and is one of the oldest rivers in the world. It has a length of 464 miles and flows into the Atlantic Ocean. Flowing water from floods and storms cut through the underground limestone to form the caverns. The caverns are estimated to be more than 440 million years old. 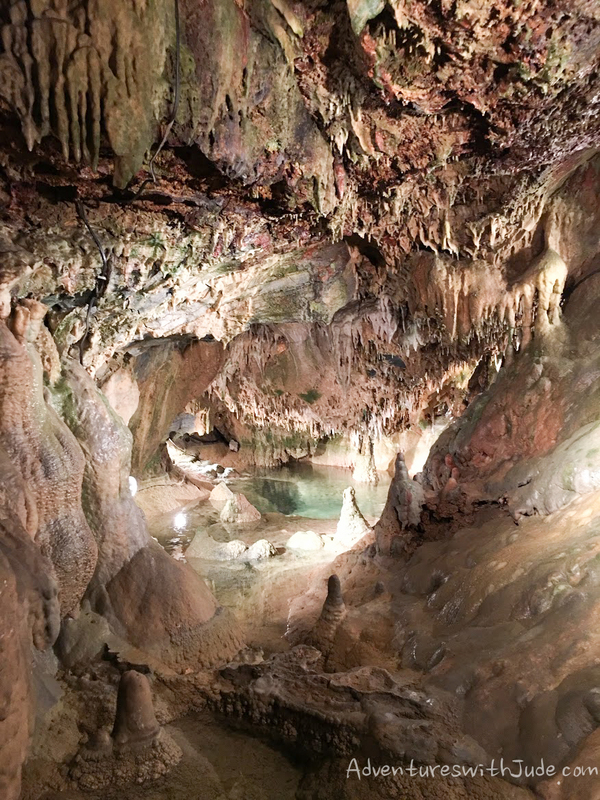 Scientists have been able to date the caverns based on the height and width of the some formations inside the caverns. (It takes 100 years for one square inch of a formation to grow.) 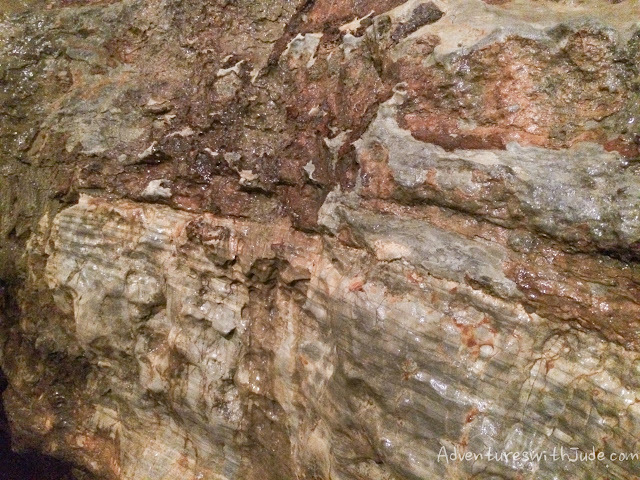 Even from inside the caves, you can tell you’re in Pennsylvania, because much of the limestone contains traces of iron ore. This is distinctive to caverns in the state. The caverns were used for centuries. In addition to the Susquehannock, others have lived in the caves. 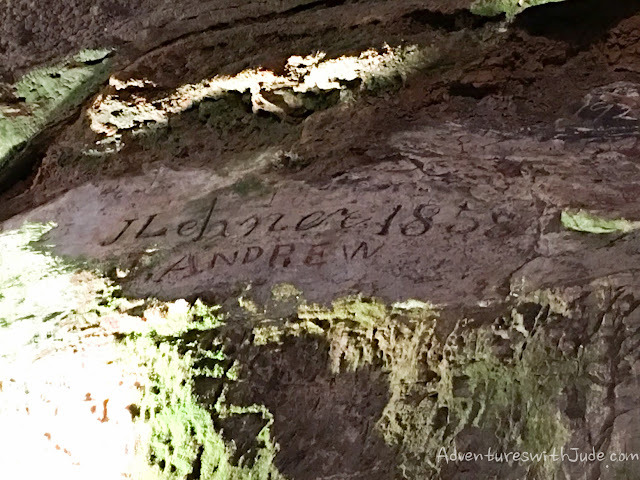 At one time, the system was known as “Wilson’s Cave,” because of a transient named William Wilson who lived there for 19 years beginning in 1802. The story of how he became a hermit after his sister’s wrongful execution has evolved into a local legend. 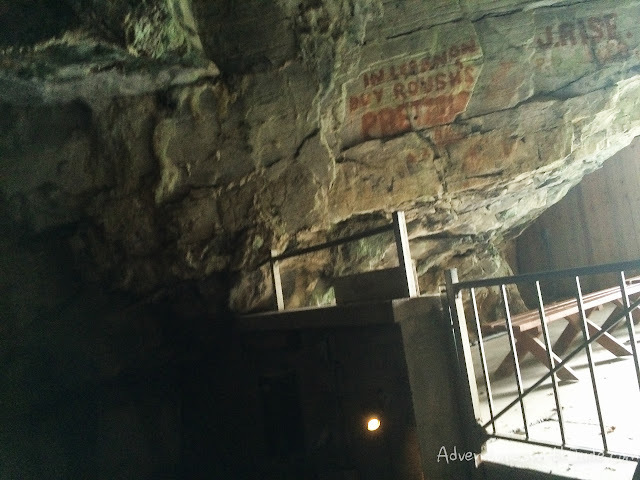 There is “graffiti” inside the cave. Deep in the cavern, this is carved into an overhead rock. No one is sure if this is just from youths who may have used it as an escape, or if it is from a family that lived here. At the mouth of the cave, there is a painted sign for a nearby pretzel shop that has been out of business for nearly a century. Old advertisement: "In Lebanon, Buy Roush's Pretels"
The caverns were first opened to the public in 1929 by John Bieber. 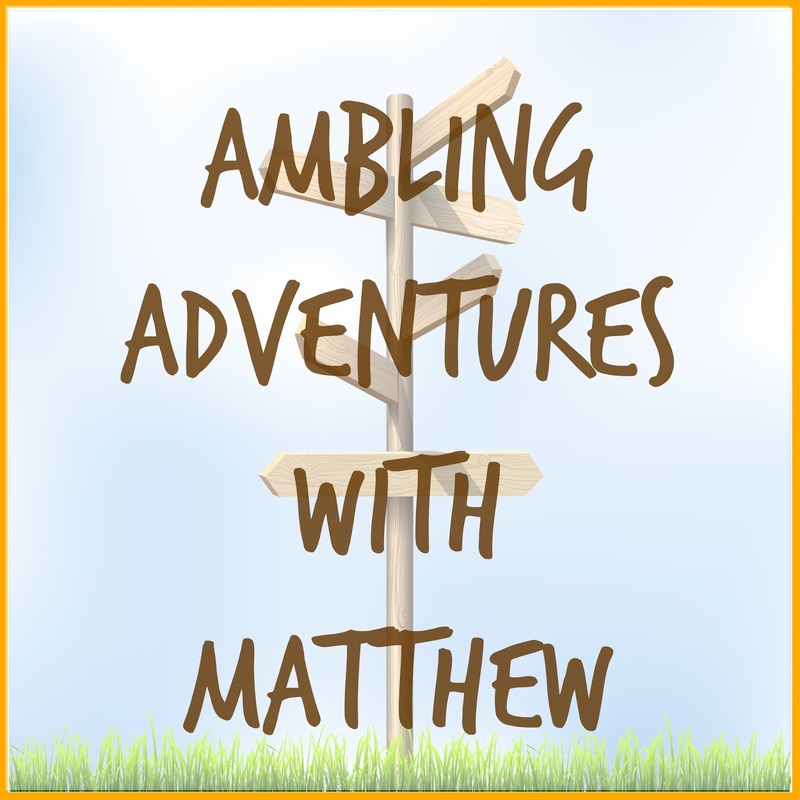 He realized that some of the natural paths were too dangerous to walk on, so he went under a huge commercialization process to make the paths smoother and safer to walk on. In the process, many other rooms were opened, making the attraction even bigger. Unfortunately, the business fell victim to the Great Depression, and the bank foreclosed. In 1945, it was purchased by Edward Swartz, a local businessman, and restored. It remains in the Swartz family today. Another uunique feature of this cave is the moss that grows on the walls. Plant spores carried by visitors’ clothing brushes off in the caves, and attaches to the walls. Moisture from dripping water and light from the attraction lighting create an environment that allows it to grow. Most tourist caverns do not have plant growth in them because the owers periodically clean and remove it, but the owners here have chosen to leave the cave in a more natural state. 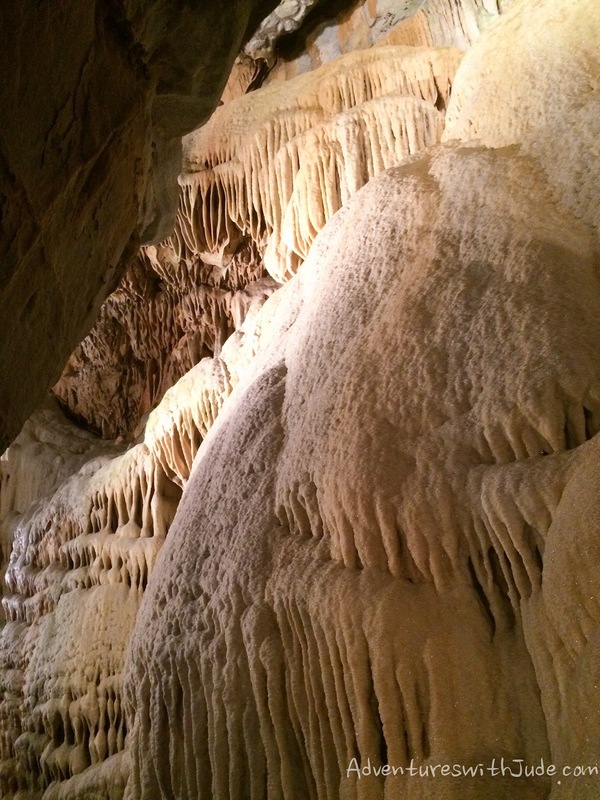 In addition to the rooms carved out by water, there are stalactite and stalagmite formations. 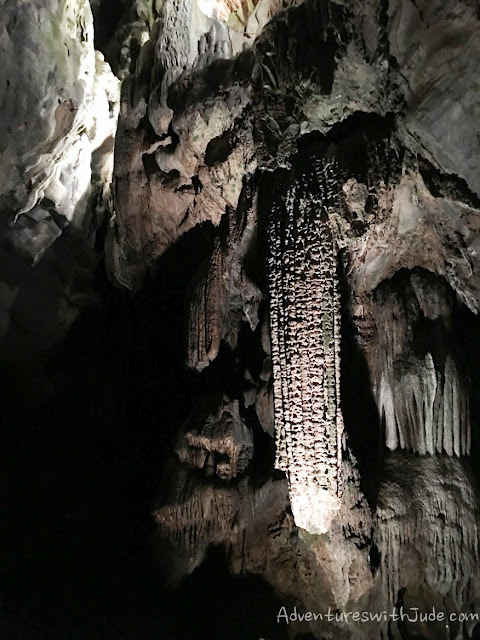 A stalactite is when the formation comes down from the ceiling, and stalagmite is when the formation comes up from the ground. This is a stalactite formation that most say looks like an ear of corn, though I think it is more of a churro shape! This is one of the formations used to help date the caves. 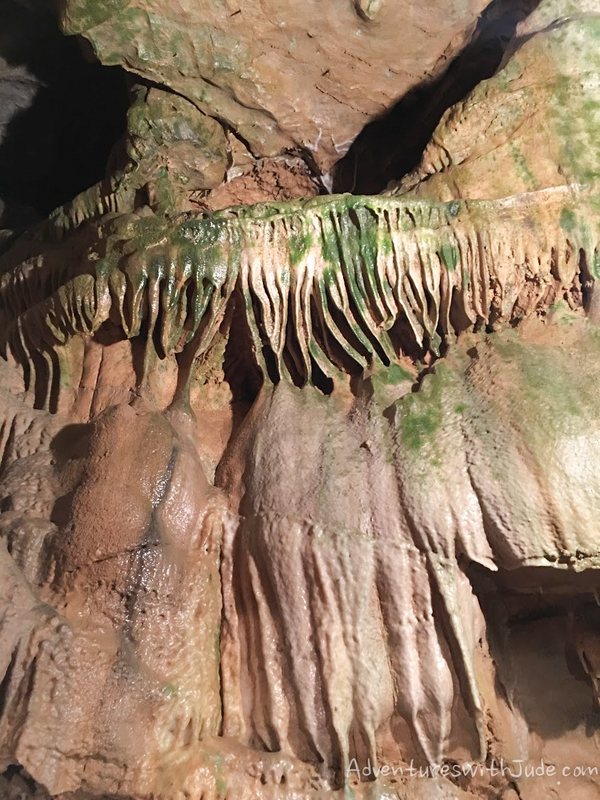 It takes 100 years for one square inch of stalactite to grow, so measurements from formations like these help date the age of the caverns. There is also an underground stream and lake. The water is extremely cold - about 49°F. It is a bright blue color because of the high magnesium content. You definitely should not drink the water, because it will give you diarrhea almost immediately because of the magnesium! Most of the cavern tunnels are irregularly shaped because they are naturally occurring. However, there is one man made tunnel in the caverns. It was created because the natural path was too dangerous to use for tourists; it was too small for most people to fit through, and it opened onto a small ledge. To create the tunnel, miners drilled holes in the stone, placed sticks of dynamite, and then detonated the explosives. The tunnel leads into this room, called "The Wedding Chapel". The shimmering quartz makes it a popular place for weddings. 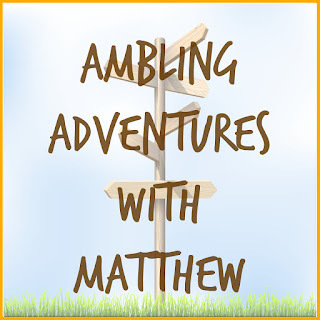 What I have learned from my experience inside these caverns is that they are unlike any other caverns I’ve ever seen. The history of the people who used and lived in them intrigues me, and when we got home I looked up details about what made William Wilson become a recluse. 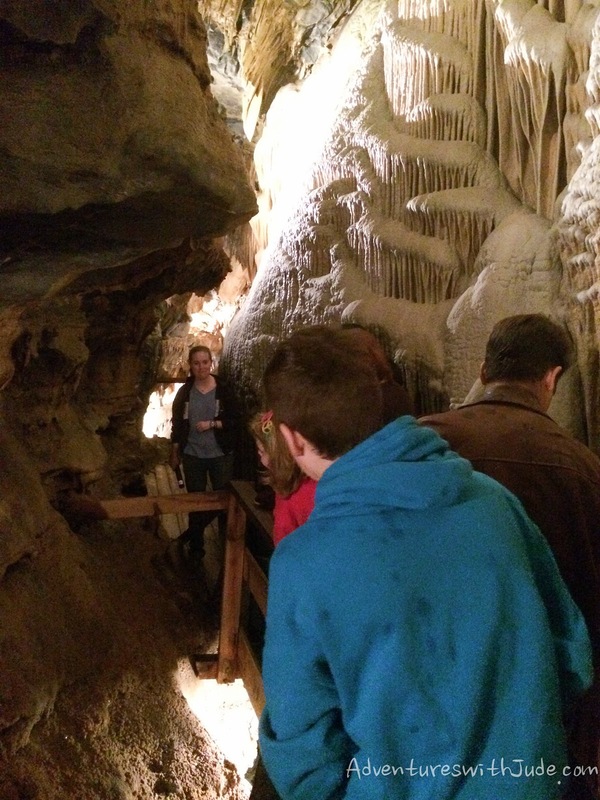 I learned how strong running water can be, and I am curious about how other natural caverns were formed. If you live near Indian Echo Caverns, you should go visit for yourself to learn more about this natural wonder.